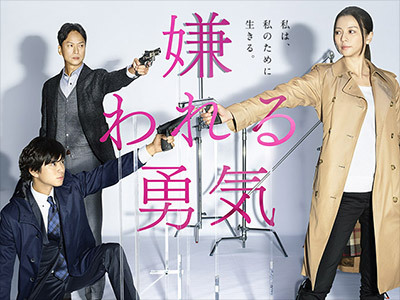 Ando Ranko (Karina) is an unpopular detective of the Tokyo Metropolitan Police Department�fs Eighth Section. A loner who has not assimilated into the organisation, she does not care how she is regarded, will not listen to the opinions of those around her and always acts on her beliefs. She also goes against the policies of her superiors and the task force, but personally does not feel that this is a bad thing. At the young age of 32, Ranko is the ace of Sakuradamon, having been instrumental in solving a series of difficult cases. However, many people in the male-dominated organisation do not think well of her attitude. 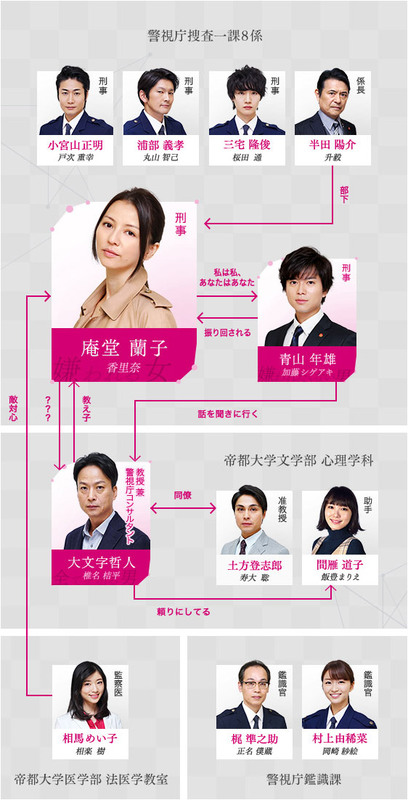 She is partnered with a junior detective Aoki Toshio (Kato Shigeaki), who has just been transferred. Unlike Ranko, Toshio cares very much what other people think and does not want to be disliked. He downright grows to hate Ranko because she often acts on her own and pushes him around without any explanation. surprisingly good. the story was great for each episode with reference to psychological theories. Better than I expected. Most of the cases were interesting with the occasional twist thrown in.